Malta is an island in the Mediterranean: geographically detached from the surrounding countries but Malta is today one of the EU Member States, with very good relations with North Africa and a history of success stories wherever Maltese were involved in business. Gutenberg Press is committed to consistently deliver a high standard of quality. Irrespective of the urgency, the client, the target dates and the margin of the job we do not compromise on the quality of our product. We aim for 100% customer satisfaction. The company employs a solid workforce of qualified and experienced people who are constantly trained to adapt to new technology, systems and processes. Being an island we understand the need for expedient delivery times and with this in mind we are constantly improving our delivery networks to offer the fastest and most competitive delivery options to our customers worldwide. During the years, the portfolio of Gutenberg has grown and changed with all the different demands the industry. Malta is geographically located at the centre of the Mediterranean Sea strategically placing Malta in the heart of the busiest shipping lanes in the region. Enjoying excellent political and economic ties with all its neighbours, Malta is considered to bridge the European and North African continents. Malta is the smallest member of the European Union that is the largest economic block in the world giving the political and economic stability necessary to develop a sound economic environment. Malta has a well-established democratic system of politics supported by strong judicial and public administrative systems. Malta is thus considered to be a bastion of political, social and economic stability. As demonstrated in the recent crisis in Libya, Malta status as a ‘neutral’ state offers significant advantages to the economic stability and growth potential. 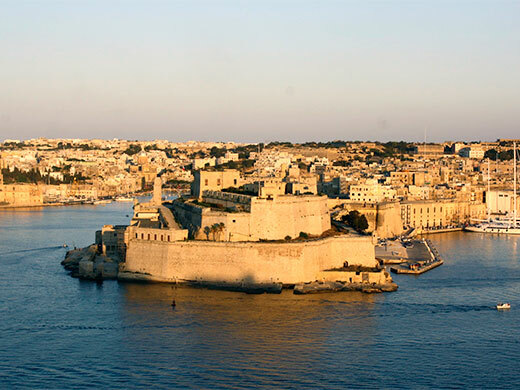 Malta boasts a long and varied history, being held by several ancient cultures including the first human settlers in 5000 BC, followed by the Phoenicians, Carthaginians, Romans, Byzantines, Arabs, Normans, Swabians (Germans), Angevins (French), Aragonese (Spanish), Sicilians, the Order of St. John, French and the British amongst others. All have left their mark on the local; heritage, culture and social fabric. Today Malta offers an excellent quality of life, and excellent health service (public and private) and social welfare framework and a stable industrial relations environment. Its Mediterranean climate makes it a comfortable all-year residence and holiday location that is visited by over a million tourists each year. 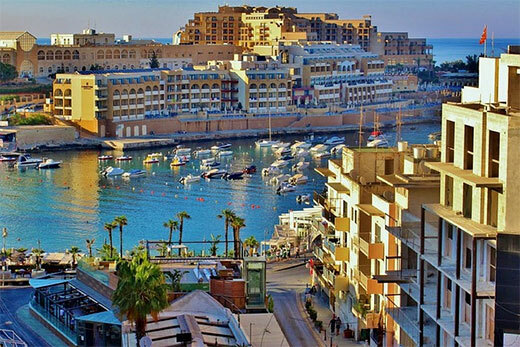 Malta has a vibrant economy, experiencing modest growth even at a time when the world is living a prolonged recession. Malta has long-standing commercial ties with Europe, North Africa and the Middle East and this represents one of the key advantages of doing business in or from the island. Malta's EU-based (but with Westminster system foundations) legislative and regulatory systems create a sound and flexible framework for business. Direct and indirect labour costs are very competitive when compared to the older EU Member States. When productivity, working hours, social security costs and other employment taxes are factored in, labour costs become even more competitive and advantageous when compared to that in the European continent (and the European leader in cost of operations amongst English speaking countries). Collective bargaining is conducted at enterprise level with industrial strife remaining a rare occurrence. Malta's has a well regulated banking system and the Central Bank of Malta is a member of the European System of Central Banks (ESCB) and the Eurosystem. Its safe and stable banking environment is well recognised with it being classified as the most solvent in the EU and the 10 soundest bank in the World (by the World Economic Forum). It in fact is one of the few systems that avoided any need for bank bail-outs during the global financial crisis. The World Economic Forum (WEF) has confirmed Malta's place as the 27th "most networked economy in the world"., Malta is also been identified as one of the top three financial centres worldwide and is also listed among the more attractive countries for financial centre relocation. English is the more widely used business language but its multi-lingual and multi-cultural background facilitates global business for locally based firms. Malta’s currency is the Euro. The end result is that Malta now has a long-standing capacity to attract and retain significant Foreign Direct Investment. Malta’s economy is now steadily moving from labour-based to a knowledge based industry thus attracting Foreign Direct Investment from countries like the UK, German, Italy, France, Spain and the United States in primary areas as are the eGaming, Financial, Pharmaceutical, ICT and maritime industries. Malta’s favourable industrial climate and pro-business policies have led it to become identified as a lead, innovation-driven economy by the World Economic Forum. The Maltese Islands have an extremely rich culture, entwined with their eclectic history and dating back hundreds of years. As a result, the Islands are home to numerous lively activities and events, including annual feasts and special occasions. Among the many festivals and traditions is Carnival, held for a week in February, ahead of the more sombre period of Lent. On this occasion, children and adults dress in fancy costumes and join extravagant parades with bright Carnival floats in Valletta. More macabre celebrations are held in Nadur, Gozo. Following on from this, the weeks leading up to Easter are honoured by the Maltese, who flock to church to commemorate the death and resurrection of Christ. Solemn processions make their way through the streets with men in penitence bearing a cross. Then, following on from Easter, is the Feast of San Grigor. For this, a religious procession leaves the chapel of St Clement in Zejtun on the Wednesday following Easter Sunday, after which people picnic in the fishing village Marsaxlokk. After this, l-Imnarja takes place to celebrate the feasts of Saints Peter and Paul on 29th June. This is a country harvest and folk festival, as well as a religious holiday, and is marked by families picnicking in Buskett Gardens, with an agricultural show and horse and donkey races. As a predominantly Catholic country, religious activities take place pretty much throughout the year in Malta. In particular, Malta and Gozo’s towns and villages come alive with street decorations, statues, flags, food stalls and band marches for their festas Beginning after Easter Sunday and continuing into September, these festas are a celebration of the village’s patron saint. They often end with ground-mechanised fireworks or luminous sky fireworks exploding into colourful shapes. And fireworks continue to be important at other times of the year, with the now-traditional Malta Fireworks Festival held in spring. The Grand Harbour in Valletta provides an idyllic setting for this spectacular display of fireworks, designed by foreign and local pyrotechnic companies. Ending the year is, of course, Christmas. This is the second most important celebration for local Catholics, and is enjoyed across the country with crib displays and carol services organised. The pantomime is one of the season’s highlights as well as the spiritual candlelit carol singing at St John’s Co-Cathedral, Valletta.